Two of Gail’s students competed in the NACSW Elite Division held in Flemington, NJ. They are Cheryn and K9 Zip and Sandra and K9 Hope. Each of these K9NW Teams earned points toward their Elite Division Title and Cheryn and K9 Zip came in 3rd Place Overall and Sandra and K9 Hope came in 10th Place Overall! Congratulations to all!!! One of Gail’s students competed in the NACSW Elite Division held in Phillipsburg, NJ. She was Elizabeth and K9 Issac. Elizabeth earned points toward her Elite Division Title and Elizabeth and K9 Issac came in 11th Place Overall! Congratulations!!! Two of Gail’s students competed in the NACSW Elite Division held in Foxboro, MA. They are Rob and K9 Gilly and Cheryn and K9 Zip. Each of these K9NW Teams earned points toward their Elite Division Title and Rob and K9 Gilly came in 18th Place Overall and Cheryn and K9 Zip came in 19th Place Overall! Congratulations to all!!! K9 Nose Work L2 Interior, NACSW Element Specialty Trial, York, ME May 4, 2016. One of Gail’s students competed in the NACSW Elite Division held in Pittstown, NJ. She was Sandra and K9 Hope. Sandra earned points toward her Elite Division Title and Sandra and K9 Hope came in 20th Place Overall! Congratulations!!! Two of Gail’s students competed in the NACSW Elite Division held in Woodstock, CT. They are Cheryn and K9 Crook and Natalie and K9 Thorfinn. Each of these K9NW Teams earned points toward their Elite Division Title and Cheryn and K9 Crook came in 6th Place Overall and Natalie and K9 Thorfinn came in 7th Place Overall! Congratulations to all!!! K9 Nose Work L2 Container, NACSW Element Specialty Trial, Huntington, MA June 24, 2017. Two of Gail’s students competed in the NACSW Elite Division held in Huntington, MA. They are Cheryn and K9 Crook and Bob and K9 Gilly. Each of these K9NW Teams earned points toward their Elite Division Title and Cheryn and K9 Crook came in 6th Place Overall and Bob and K9 Gilly came in 18th Place Overall! Congratulations to all!!! 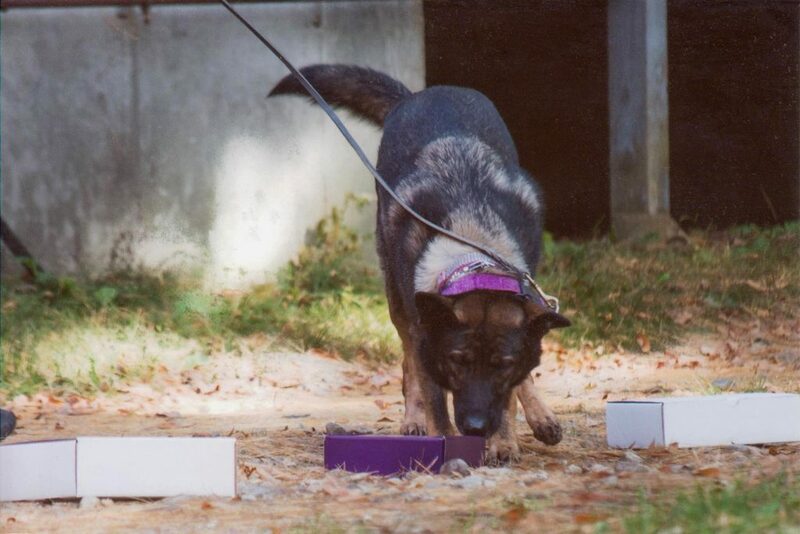 K9 Nose Work Odor Recognition Test (“ORT”), Dogs Learning Center, Hudson, MA, August 20, 2017. Two of Gail’s students competed in the NACSW Elite Division held in Easton, MD. They are Sandy and K9 Hope and Cheryn and K9 Crook. Each of these K9NW Teams earned points toward their Elite Division Title and Sandy K9 Hope came in 12th Place Overall and Cheryn and K9 Crook came in 13th Place Overall! And, Sandy came in1st Placein one of the searches. Wow! Congratulations to all!!! K9 Nose Work Odor Recognition Test (“ORT”), Seekonk, MA, December 3, 2017.